Algeria plans to move Jewish graves in 31 Jewish cemeteries around the country, dumping the unclaimed remains in a mass ossuary. 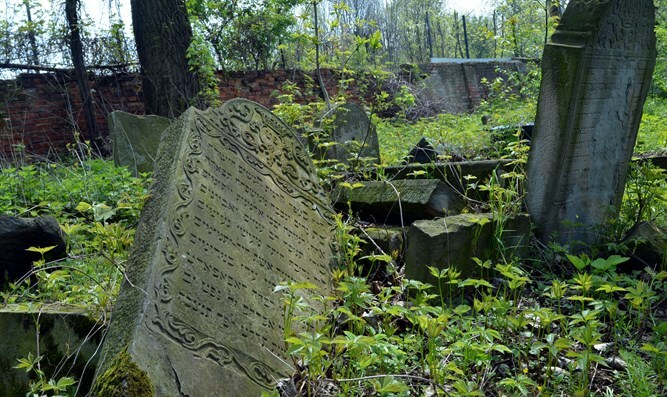 Several months from now, Algeria plans to evacuate thousands of Jewish graves in 31 of the Jewish cemeteries around the country, dumping the unclaimed remains in a mass ossuary, in order to use the land. With upkeep expenses mounting amid rampant vandalism and garbage dumping at the cemeteries, the French and Algerian governments decided to move European cemeteries into an ossuary following a six-month delay designed to allow family members to organize the transportation for the remains of their ancestors to France. The cemeteries in question are known in Algeria as “European cemeteries” because they belonged to France when Algeria was still part of the French Republic, before it became independent in 1962. All the graves that are earmarked to be moved are of French citizens whose families mostly left Algeria before 1962. Jewish religious leaders around the world are outraged, as the project organizers admit that their "main reason is to limit the expenses." According to Jewish law, graves can be moved only in order to save lives, or prevent disrespect of the dead. They also said the plan will result in the desecration of more than 1,000 Jewish graves that do not have headstones. Many headstones were removed over the decades from the :European cemeteries." “When the few corpses with a headstone are going to be removed from a cemetery, many more corpses are going to be left in the ground and when the local workers will dig to build the new building planned by the Algerians, they are going to be desecrated. This is unacceptable,” signers of a French Jewish petition to stop the project wrote. “Jews were present in Algeria long before it was conquered by Arabs and so the Jewish patrimony left behind in 1962 does deserve a minimum of respect,” wrote Arik Delouya, a co-signatory of the petition who was born in Morocco and now lives in Paris. At a recent conference commemorating the Holocaust in Poland, head of the Ateret Yisrael yeshiva in Jerusalem, Rabbi Baruch Mordechai Ezrachi, called on anyone who has influence on the local government of Algeria to stop the defilement of the dead. "A terrible decree...is hovering over many Jewish cemeteries in France and Algeria, where the governments want to empty these cemeteries and burn the bodies," he cried out while speaking in the synagogue of 16th century Torah scholar Rabbi Moshe Isserlis (the Rama) author of the Ashkenazi version of the Code of Jewish Law, in Poland. Rabbi Ezrachi continued, "From what I've heard, the matter is not so well known, and it will take the power and energy of the great Torah leaders of Israel, who are considering what to do day and night, in all ways, to succeed in preventing this awful decree." "What we can do," explained Rabbi Mizrachi, "is to protest this...and to pray, and to cry out to the Master of the Universe to change their minds for the better. We are praying that the departed will rest in their places in peace. If we know about this, we must know to argue against it."